Azure DNS are specified by using the relative names and fully qualified domain name (FQDN) includes the zone name. Note:- Relative record name ‘www’ in the zone ‘Rcloud.com’ than the fully qualified record name would be ‘www.Rcloud.com’. Every DNS record has a name & type. DNS Records are organized into various types according to the data they contain. Most common type is an ‘A’ record, which maps a name to an IPv4 address & another common type is an ‘MX’ record, which maps a name to a mail server. Azure DNS supports all common DNS record types: A, AAAA, CNAME, MX, NS, PTR, SOA, SRV, and TXT. Note that SPF records are represented using TXT records. Record set are where you will have 2 different IP address associated with one domain Name. If you have an commercial website and your websites require 2 different IP address for failover or reduce the traffic then you can use the record set. Azure DNS manages all DNS records using record sets. A record set (also known as a resource record set) is the collection of DNS records in a zone that have the same name and the same type. Time to live, or TTL, specifies how long each record is cached by clients before being re-queried. The TTL value is 3600 seconds or 1 hour and we can customized between 1 and 2,147,483,647 seconds. Wild card records are sent the query with the matching domain name unless there no closer matching name from non-wildcard record set. Note: We can create the wild card record with ‘*’ ie: ‘*”rcloud’. A record maps a domain to the physical IP address of hosting domain. Internet traffic uses the A record to find the computer hosting on your domain’s DNS settings. The value of an A record is always an IP address, and multiple A records can be configured for one domain name. A record is to the IPv4 address space, the AAAA record (also known as a quad-A record) is to the IPv6 address space. CNAME record called as Canonical Name record ) is a type of resource record in the Domain Name System (DNS) used to specify domain name is an alias for another domain canonical domain. Allias for your CNAME records. Service record (SRV record) is a specification of data in the Domain Name System defining the location, i.e. the hostname and port number, of servers for specified services. TXT record (short for text record) is a type of resource record in the Domain Name System (DNS) used to provide the ability to associate with some custom name and unformatted text with a host. The Pointer (PTR) record provides data for reverse DNS, which is used for logging the domain name and verification purposes. Also called inverse DNS. Sir what is the main use of dns zone and record in also ipadrress usage . 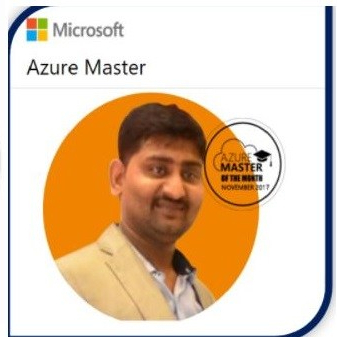 For More Details: follow: https://technet.microsoft.com/en-us/library/cc725590(v=ws.11).aspx MS technet article.